Google is no longer highlighting the "best torrent sites" in its search results. Following an investigation, the search engine decided to pull the prominent torrent sites 'carousel' from its search results. Various streaming sites remain highlighted, but the 'pirate' sources have been removed there as well. Two weeks ago we noticed a ‘handy’ feature where Google highlighted various torrent sites in its search results. People who typed “best torrent sites” into the search box would see a reel of popular sites such as The Pirate Bay and RARBG in the results, featured with their official logos and all. Google employees obviously didn’t curate the list themselves. They are a Google feature called the “results carousel,” which is generated based on an algorithm. Still, considering the constant criticism the search engine faces from rightsholders, it’s a sensitive topic. It appears that the search engine itself wasn’t very happy with the featured search results either. This week, the torrent sites were quietly banned from the search carousel feature. According to the company, it wasn’t working as intended. “We have investigated this particular issue and determined that this results carousel wasn’t working in the intended manner, and we have now fixed the issue,” a Google spokesperson informed TorrentFreak. Although Google carefully avoids the words copyright and piracy in its comments, it’s quite obvious what motivated this decision. The company doesn’t want to highlight any pirate sites, to avoid yet another copyright controversy. That the intervention was triggered by “piracy” concerns is backed up by another change. While various “streaming sites” are still prominently listed in a search carousel, the pirate sites were carefully stripped from there as well. A few days ago it still listed sites including Putlocker, Alluc, and Movie4k.to, but only legitimate streaming portals remain on the list today. That change definitely required some human intervention. 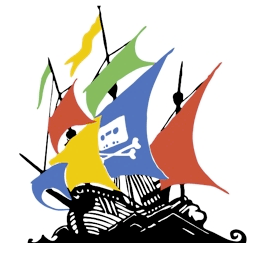 This isn’t the first time that Google’s “rich” search results have featured pirate sites. The same thing happened in the past when the search engine displayed pirate site ratings of movies, next to ratings from regular review sites such as IMDb and Rotten Tomatoes. Apparently, Google’s search engine algorithms need some anti-piracy fine-tuning, every now and then.